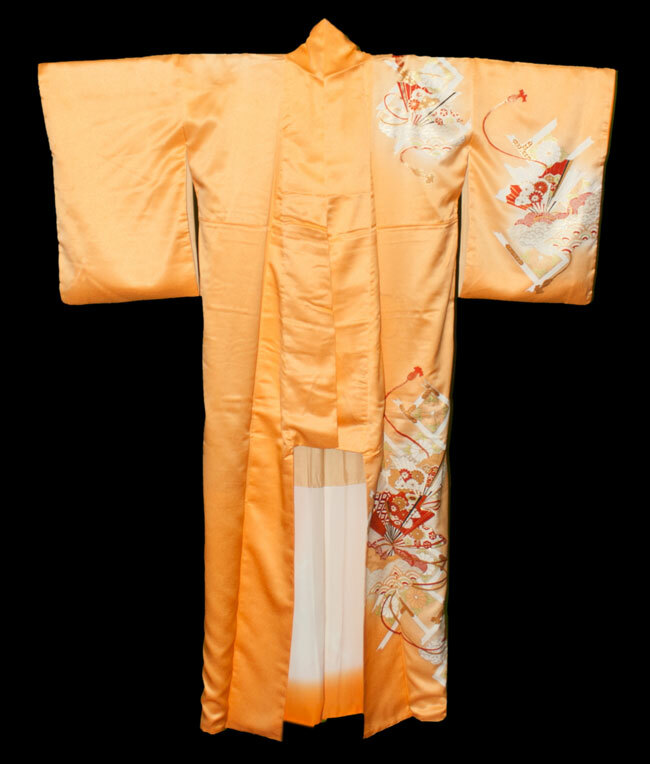 Kimoyes item: 17676 - Yellow silk with a touch of orange. 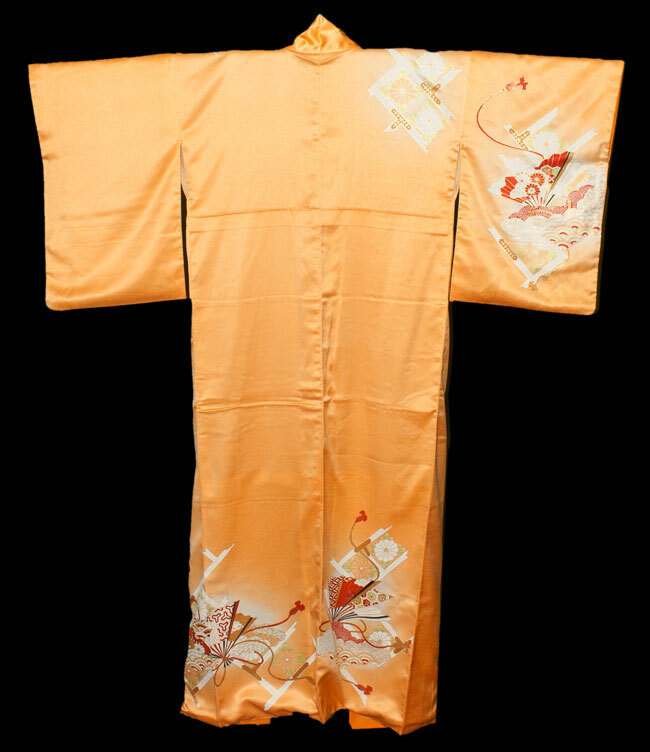 Yellow silk with a touch of orange. The fan design have some gold couching and these designs are quite striking. 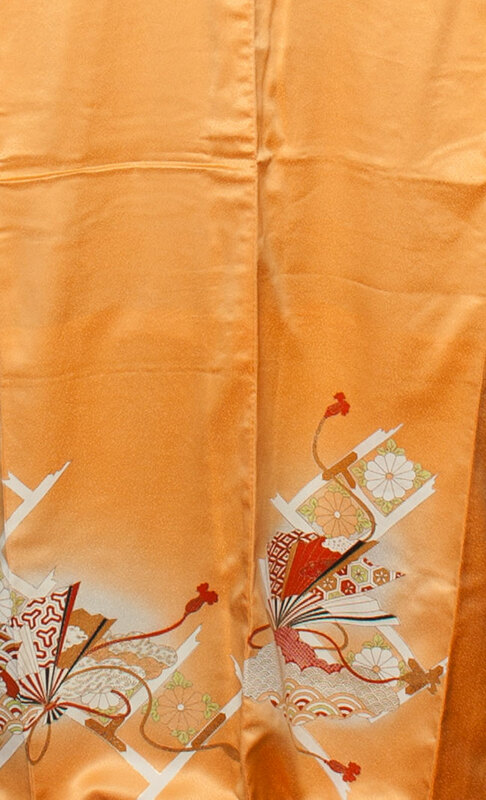 This pretty kimono would be wonderful to wear or would look terrific to display. 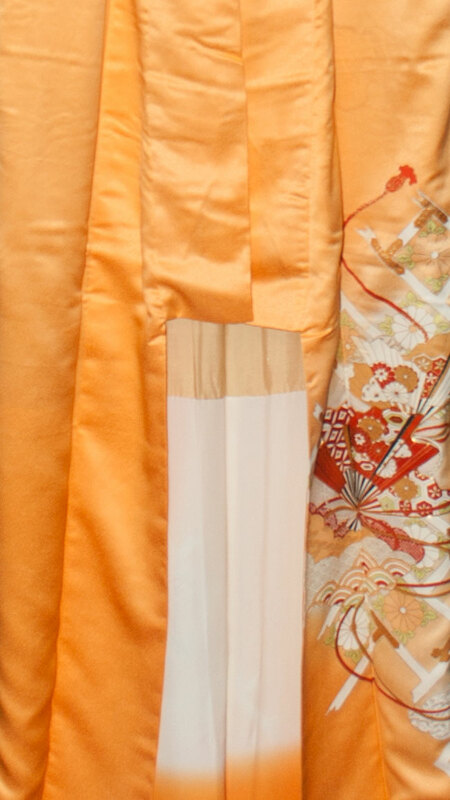 This kimono measures 59 inches in length and 52 inches from sleeve edge to sleeve edge.